Keo Motsepe is a South African dancer whose dancing talent is paving a way for him in the international scene. He is famous for his serial appearances on ABC’s Dancing With The Stars TV show. Here’s all you need to know about him. Keoikantse ‘Keo’ Motsepe was born on November 24, 1989, in Pretoria, South Africa. Keo whose parents later got separated always knew what he wanted to be. At the age of 5, he had already started showing skills and interest in dancing. By 14, he had started taking it a little more seriously. Keo would enter for any dance competition he came across. He did not just enter the competition, he always came top in them. He did not spare any national dance title back home in South Africa. From 2004 to 2014, Keo Motsepe and his dance partner Otlile Mabuse were South Africa’s undefeated Latin American Dance Champions of all times. The duo was the face of South Africa in several international competitions. In 2010, the two represented SA in the World Latin Championships in New York. What started out as a fun activity became a step by step progression to his present career as a professional dancer. Keo’s talent comes to life the most when it comes to Latin and Ballroom dances. As a choreographer, he also has his way with contemporary dance moves. His first TV appearance was performing as a professional guest on Strictly Come Dancing South Africa in 2013. The record-breaking dancer made history when he became the first black professional dancer on the Dancing with the Stars show. The milestone achievement of joining the cast of professional dancers on the show was announced in 2014. Before the announcement, Keo was already working on a Norwegian Cruise Line in Miami as a dancer. Earlier in 2012, he was the first South African to join the “Burn the Floor” World Tour. According to ABC, Keo was such a natural at his dancing job with the Burn The Floor team. It was not long before he became the male principal dancer in the cast. He was said to be handpicked to do a solo performance during the show’s residency at the Shaftesbury Theatre on the West End. Keo says his dancing career has taught him how to treat and respect women. He says dancing made him realize he could “be that decent guy that a girl can dream of.” He also intends to nurture young male dancers. Season 19– Paired with Olympic athlete Lolo Jones. They were eliminated in the 1st week of the competition at 13th position. Season 20– Paired with model Charlotte McKinney. They were eliminated in the 3rd week at 11th position. Season 21– Paired with Grammy Award-winning singer Chaka Khan. They were the first couple eliminated in the 2nd week at 13th position. Season 22– Partnered with Full House and Fuller House actress Jodie Sweetin; eliminated in the 8th week at a 6th overall position. This would be Motsepe’s longest run on the show. Season 23– Appeared as a troupe member. Season 24– Appeared as a pro dancer and was partnered with actress & comedienne Charo. They were eliminated in the 3rd at 11th position. In the future, Keo hopes to be the very best he can be on the dance floor. It will be a dream come true to have a dance with American superstar, Ciara. 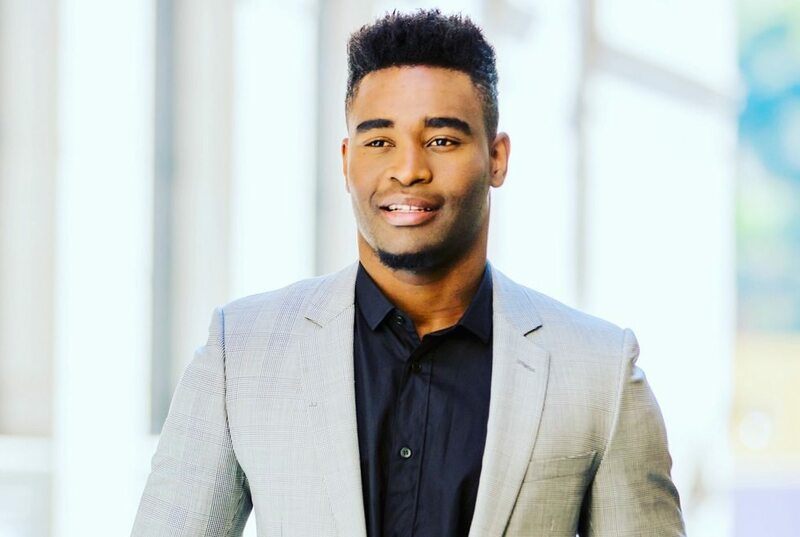 Keo Motsepe who is estimated to have a net worth of $2 million. He reportedly earns up to $300,000 from dancing which is said to be the major source of his income. The media is keeping its ears to the ground to know who the lucky girl would be when he quits his single status. The SA star has been described as a private person who keeps his affairs out of the public eye. At the moment the media cannot confirm whom the dancer is currently dating or if he is married or not. Being a dancer, the nature of his career has not made it easy too, bearing in mind the flock of women around him. In 2015, the South African was rumored to be in a relationship with Emma Slater. However, it turned out the rumors were false. For his amazing dance moves, Keo surely has his well-built body and unshakable stamina to thank. The dancer is 6f,t 3 inches tall and weighs 86 kg.